"Hello. I would like to introduce you to Sam. 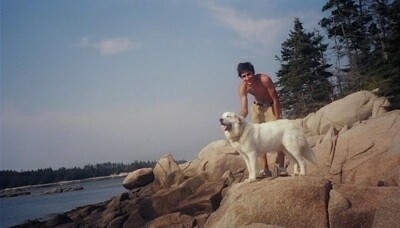 He is a Great Pyrenees and the love of my life. He guards our horses, chickens, and our whole farm really. He also loves our cats. 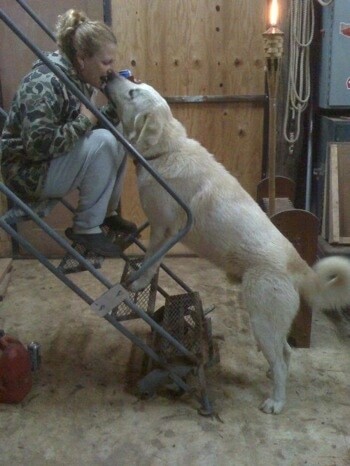 Sam is the most loving and gentle dog I have ever owned, and holds a very special place in my heart. 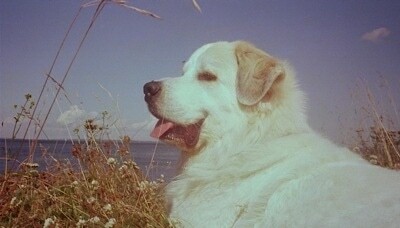 He is the first Great Pyrenees I have had, but I told my husband that we will never be without one now. Sam is now 17 months old and I have enjoyed every second of that time." "Hi. My name is Max. 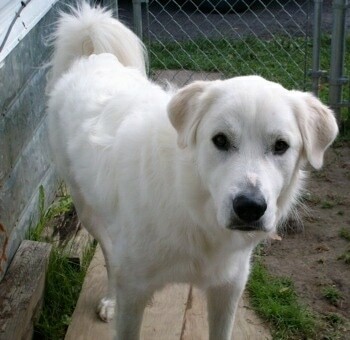 I am a 2-year-old Great Pyrenees and my mom and dad just love me to pieces. 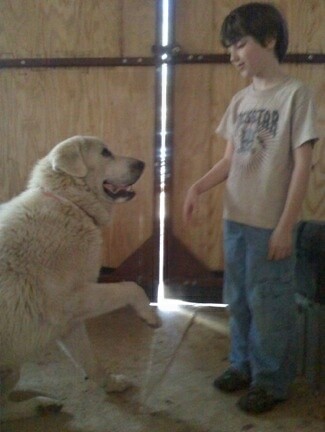 I am the first big dog they have ever had and they always brag about how big I am; I weigh 106 pounds (wow)! But, I also know how to Sit, Lie Down, Speak, Shake, Stay, and turn to the left in a complete circle. Please, no vacuums though; I am terrified of those scary things! But I love getting treats and going for long walks and also riding in my mom's van with the window down a little so I can smell the neat stuff outside as we go places. My mom thinks I am the best dog ever!!" 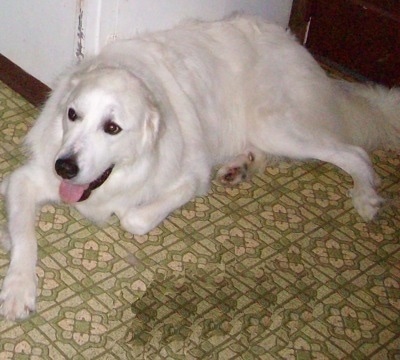 "Kina Bear is our four-year-old Great Pyrenees from a working dog line here in Pennsylvania. She was the small one of the litter and we found her by accident and are so glad we did. 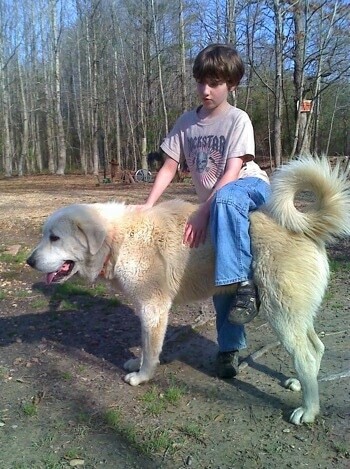 My parents had Pyrenees on their Arabian horse farm; I fell in love with this breed at a young age, but was not able to have one on my own till later in life. 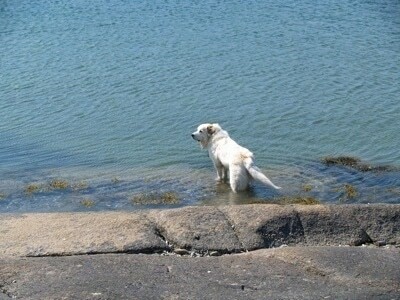 Having a high-stress job, my doctor actually recommended a dog believing they help lower blood pressure, and with stress management and anxiety. Having Kina Bear in our lives has helped with all of these health issues. Not only is she a wonderful loyal, sensitive companion, she has helped my health improve. Anyone having stress, blood pressure problems and anxiety, although it is not a cure, forming a relationship with a pet in a healthy home environment will definitely improve your life and remind you to take the time for loved ones and yourself." 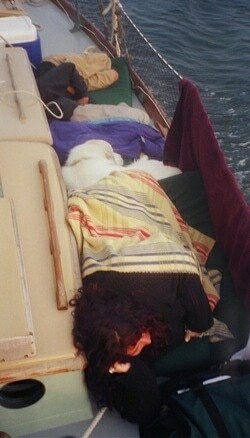 "She has also amazed me by having the love of sailing like I do. 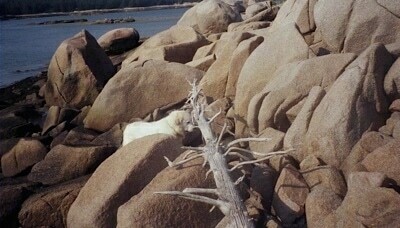 She has gone on many sailing trips off the coast of Maine." "She behaves so well on board, relaxes and takes it all in as we sail. These are not short sails, either; we can be sailing up to four hours before we anchor and find an island that we want to explore." "Exploring many uninhabited islands and loving every minute of it." "We are adopting a Newfoundland puppy for Kina to mother. I am sure they will be wonderful sailing companions."